In our quest to continually improve the quality of the investment advisory services that we bring to our clients New England Investment and Retirement Group recently has entered into a strategic alliance with DiMeo Schneider & Associates, Inc. (DSA). 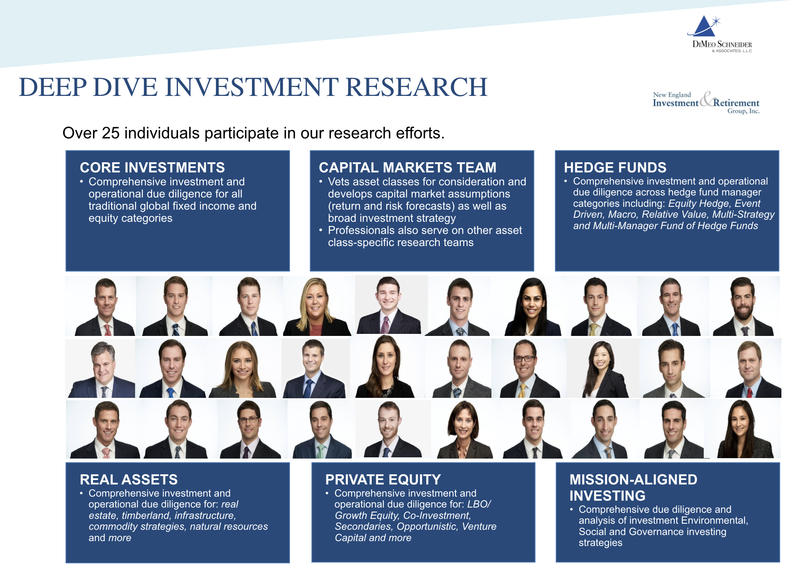 This alliance has enabled us to dramatically expand our research and analysis capabilities in addition to our already existing investment committee process. DSA is based in Chicago, IL and was founded in 1995. DSA currently has approximately 70 employees and provides a comprehensive research and due diligence team of 30 individuals which includes 22 CFA charter holders. 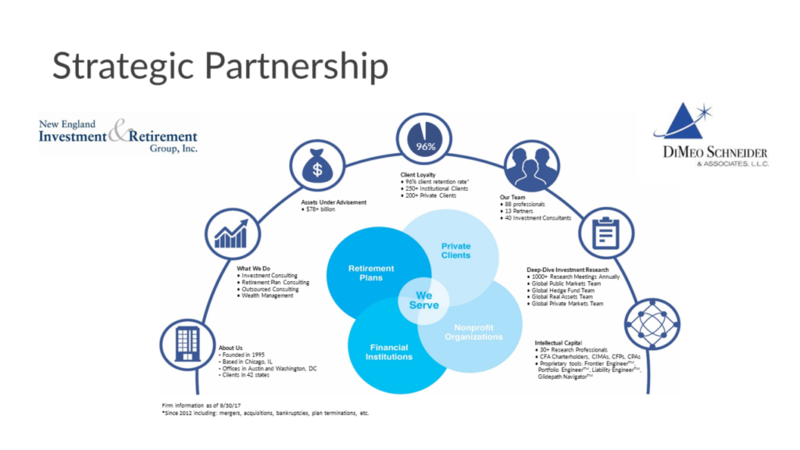 This strategic relationship greatly enhances all aspects of New England Investment and Retirement Group’s investment resources in all areas of portfolio management. We are confident that our clients will be pleased with the increased services as well as commentary, informational videos and educational content from DSA’s staff that is posted to our website on a regular basis. This information will complement our suite of wealth management and investment advisory services.